Graduates from Manufacturing Engineering programme are expected to acquire a comprehensive understanding and skill on the behavior and properties of materials as they are altered and influenced by processing in manufacturing. 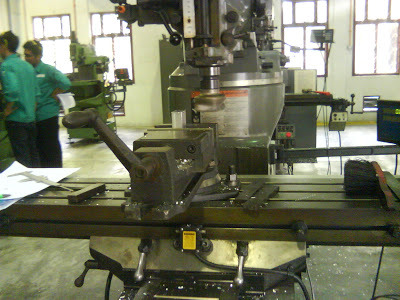 Among other courses the students specifically learn include Instrumentation and Control, Vibration and Mechanic of Machines, Design of Machine Components, Quality Control, Computer Aided & Manufacturing (CAD/CAM), Metrology and Measurement System, Production Tooling, Manufacturing Automation, Machine Tools, Computer Integrated Manufacturing (CIM), Product Design and Development, Production Planning and Control (PPC). Over the years, the Manufacturing Engineering programme have produced a diverse range of graduates, serving the industry, amongst others, as designers, engineers, technologists and specialists in failure analysis, quality control, semiconductor fabrication, and various other research and development (R&D) scopes. Interested in Bachelor of Manufacturing Engineering (Honours) ?